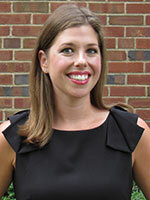 Tracy Riggle Young is the Seminary's director of enrollment and retention. She's a graduate of Denison University and Union Theological Seminary. Prior to working at the Seminary, she taught at The Neighborhood Academy and with Teach for America in addition to working in the admissions arena. Tracy is excited to help students discern their calls to ministry and ensure their success while in seminary. Her research interests include feminist theology and Black liberation theology. 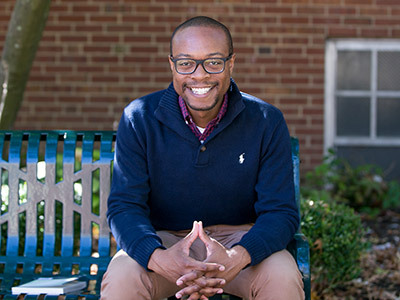 Hallie Isadore works as an admissions counselor. She first came to Pittsburgh Theological Seminary as the spouse of 2013 M.Div. graduate Dan Isadore. She’s a 2007 graduate from Grove City College where she earned her bachelor's in theology. Her higher education background includes serving the President’s Office within the University of Montana. If she is not working with prospective students or the Admissions Office, Hallie can likely be found hosting guests within her home, working on a house project, or spending time with her family. 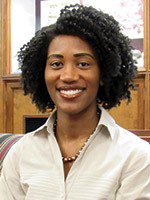 Ashley Johnson works as an admissions counselor. She earned her bachelor's from Slippery Rock University and her master's from California University of Pennsylvania. Prior to PTS, her higher education background includes working as a graduate assistant in the Financial Aid Office at California University of Pennsylvania and serving as a student service specialist in Enrollment Services in The HUB at Carnegie Mellon University. 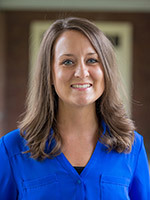 In her current role, Ashley serves prospective students to answer any questions related to the admissions process, scheduling a campus visit, or meeting different program directors or faculty. 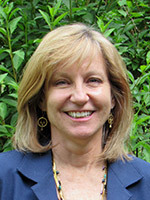 Cheryl De Paolis is the director of financial aid. She earned her bachelor’s from Clarion University of Pennsylvania and her master’s from Pennsylvania State University. She is active in various professional organizations serving in many leadership roles. She was the president of Pennsylvania Association of Financial Aid Administrators, PASFAA, in 2014 and has held many chair positions since 2008. Currently, she is secretary for the Eastern Association of Financial Aid Administrators, EASFAA, and chair of the ACCESS Group Financial Aid Advisory Committee. In 2015, she created nextPAGE, a program for new financial aid administrators which won a Gold Star Award from the National Association of Financial Aid Administrators, NASFAA.